The US State Department listed Turkey as a country in which US citizens might be kidnapped or taken hostage. According to a Wall Street Journal report, the State Department has begun to use a new “K” indicator to flag the danger of kidnapping in the country listed in its travel advisories. Turkey was also listed among the 35 countries the US government considers as high threat areas. The US-Turkey relations strained over the lengthy detention of the former’s citizen, Pastor Andrew Brunson over which Washington enforced sanctions on two senior Turkish ministers, sparking a currency crisis in the latter. The souring relations between the two countries can be described as a divorce according to Turkey expert Howard Eissenstat. “…they’re going through a divorce. And there are lots of countries that we don’t get along with that nonetheless we’re capable of cooperating with, but there’s a lot of bitterness that goes with divorces,” asserted Eissenstat. 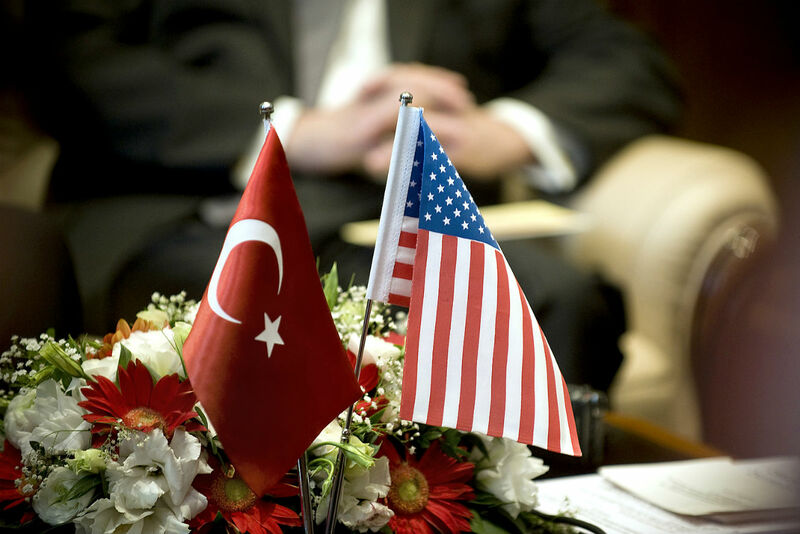 Foreign Policy published an article on Wednesday, on a new US Senate bill that might force Turkey to pick its side. A NATO member country, the Turkish state lately developed closer ties with Russia, which seeks to exert deeper influence in the region. Turkey’s latest bid to purchase Russian-made S-400 air defense systems jeopardized Turkey’s position in the F-35 fighter jet consortium. The delivery of the jets purchased by Ankara is in limbo over US reservations for its usage along with the systems of an adversary country might pose a vulnerability against Moscow. Foreign Policy article suggests that the new Senate bill includes lifting the arms sales ban in Cyprus, which has been in force over three decades, aiming to break Russian efforts to extend its arms sales market. However, other issues that strain the relations would not go away solely with this move. Grappling with an economic recession, President Tayyip Erdogan’s administration is heavily criticized by its Western allies over the declining democracy in the country. Following the failed military takeover of 2016, Ankara blamed Fethullah Gulen, a US-based cleric and the leader of an international faith-inspired movement, for masterminding the coup bid. Although Gulen denied the allegations, his movement is outlawed in Turkey, and Ankara repeatedly requested his extradition from the US. Washington did not meet Turkey’s demand, citing the lack of substantial evidence linking the cleric to the putsch. During Brunson’s detention Erdogan stated that if the US wants his release they should hand over Gulen to Turkey, a move many critics deemed as “hostage diplomacy”, a term in tandem with the latest travel advisory indicator issued by Washington. The Turkish government also came under EU scrutiny over the handling of its own citizens affiliated with Gulen Movement, with the widespread practice of kidnappings resulting in extralegal detention with interrogations carried out along with various types of torture by the Turkish intelligence service (MIT). Critics assert that MIT kidnappings might have also contributed to the US decision to list Turkey as a country that poses kidnapping risk for US nationals. Satterfield is named by President Donald Trump as ambassador to Turkey, and his appointment is to take place pending a Senate vote.